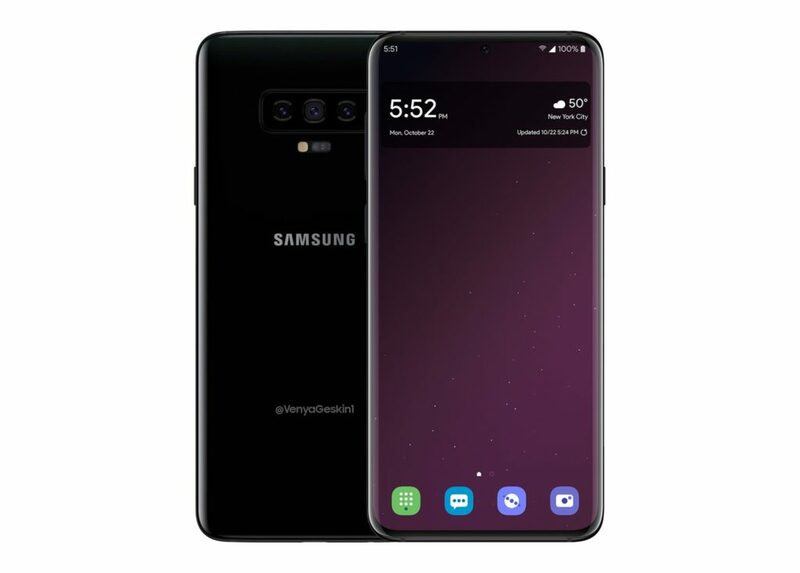 The past week featured a flurry of Galaxy S10 leaks, that culminated with a large Bloomberg piece on the 4 versions of the device. Those also include a 5G ultra high end model apparently. Before we get more intel, designer Benjamin Geskin got on the case and rendered some S10 models. Let’s check them out. He started off with a predictable S9-like format with narrower bezels, a very small cutout for the front camera and triple back cameras. There’s almost no bezel at the top and bottom as you can see and the fingerprint scanner is placed within the screen panel. Then there’s the Samsung Galaxy S10 with Android 9.0 Pie. I’m not a very big fan of the dice texture of the icons at the bottom of the screen, with those dots. The front panel is surely curved, on both the sides, top and bottom. The handset is made of glass and metal and keeps basically the same format as the Galaxy S8 and S9, at its core. Very few things have changed really. 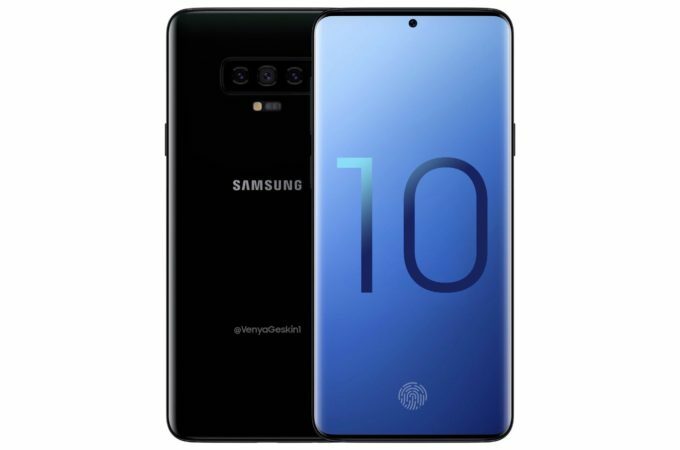 I feel that the S10 needs to do a bit more to differentiate itself as an anniversary model. Maybe the Galaxy S10X will bring something special, even though its name spell “Stanks”.